All College of Design graduates are eligible to use the alumni services offered through Design Career Services. This includes appointments, access to CyHire, and participation in ISU career fairs. Design Career Services works with alumni in person or remotely by email or telephone. Appointments are encouraged. Please email or call with questions or to schedule a time to talk. College of Design alumni may access CyHire, Iowa State’s online career management system, to view opportunities posted by employers seeking ISU students and graduates. To request an account, please complete and return the Alumni Registration Form to Shellie Hosch, shosch@iastate.edu. After we receive the completed form, you will receive your username and password via email. 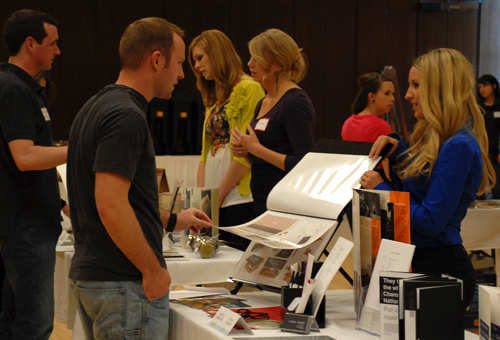 Alumni are encouraged to attend the annual Design Career Fair to speak with firm representatives or to represent their employer. Employer registration opens in November and is managed using CyHire. Once registration opens, students and alumni are able to view up-to-date information as well as job postings from registered organizations using CyHire.